Australian actress Mia Wasikowska caught the eye of critics and audiences with her performance as a troubled teen in the acclaimed HBO series "In Treatment," which features Gabriel Byrne as a psychotherapist. Soon, the 20-year-old blonde was landing bit parts in major films like "Defiance" and "Amelia," and smaller projects like "That Evening Sun" with Hal Holbrook. 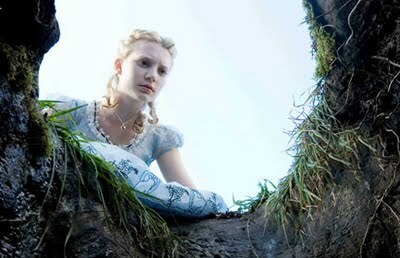 Wasikowska also caught the eye of director Tim Burton, who cast her as the lead in his hotly anticipated rendition of "Alice in Wonderland," a wild, colorful marriage of live action and 3-D animation. Touted by Walt Disney Pictures for months, "Alice in Wonderland," which opens March 5, co-stars Johnny Depp as the Mad Hatter, Helena Bonham Carter as the Red Queen and Anne Hathaway as the White Queen. Wasikowska's star is quickly rising. She'll also be appearing in "The Kids are Alright," a Sundance hit from director Lisa Cholodenko starring Julianne Moore and Annette Bening as a lesbian couple. Wasikowska plays their daughter, on the hunt for her biological father (Mark Ruffalo). She'll also star in "Restless," the latest from "Milk" director Gus Van Sant, and "Jane Eyre," portraying the title heroine alongside Michael Fassbender.